Horse Drawn Carriage Rides - Downtown Manhattan Inc.
Take a horse drawn carriage ride to enjoy the beautiful holiday lights of Downtown Manhattan! 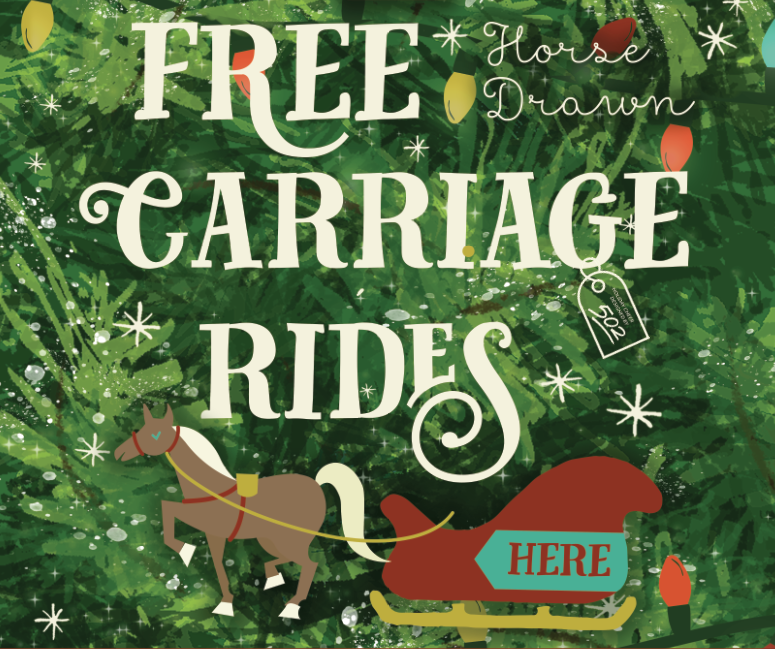 Carriages will pick up and drop off at the Blue Earth Plaza. Rides are FREE but cash donations are welcomed and will benefit Big Brothers Big Sisters of Riley County. In the case of inclement weather, please check our social media @downtownmhk. Many thanks to our carriage ride sponsors, WTC and Little Apple Optimist Club!